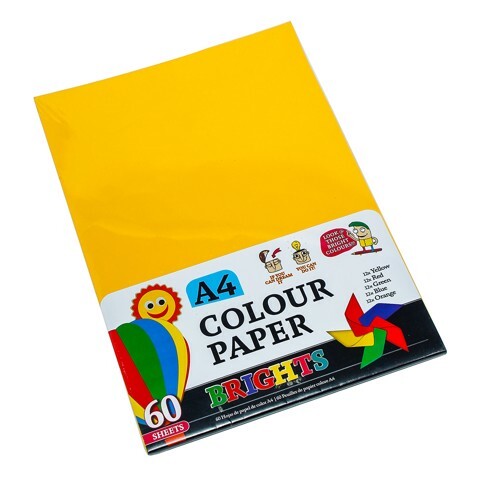 Colour Paper A4 70Gsm 60Sht. A4 Size 210 x 297mm. 5 Colours per Pack: Green | Red | Orange | Yellow | Blue. Paper. 70G Packaging: Shrink Wrap with Colour Label.